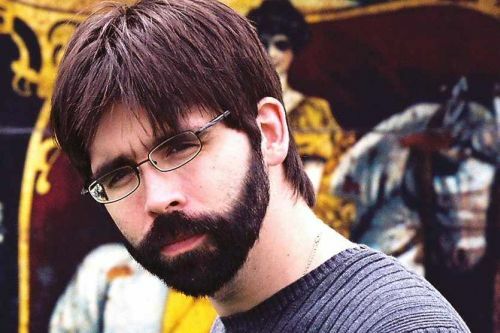 Joe Hill is an American author of horror, fantasy and science fiction novels, short stories and graphic novels. He is the son of Stephen King and Tabitha King. He chose the pseudonym (actually a shortened version of his own name) in order to seperate himself from being the son of Stephen King. Joe has collaborated with his father on multiple occasions. He has won the A.E. Coppard Long Fiction Prize, the World Fantasy Award for Best Novella, the International Thriller Writers Inc. Award for Best First Novel and several Bram Stoker Awards. Hill is the author of the Locke & Key comic book series. Notes: Throttle and In the Tall Grass were co-authored by Stephen King. Road Rage is co-authored with Stephen King and Richard Matheson. The Cape graphic novels are co-authored with Jason Ciaramella. John Joseph Adams was series editor on The Best American Science Fiction and Fantasy 2015.